The length and labor of the process takes a toll on veterans’ lives. Veterans care deeply about the outcomes of other veterans. Veterans feel alone in a process they don’t understand. The appeals process feels like a fight. Veterans want to be heard. Unfortunately, the process as it exists is impersonal at best and adversarial at worst. That’s why the accredited veterans’ rights attorneys at Marcari, Russotto, Spencer & Balaban fight so hard for our clients. Until the VA changes to meet veterans’ needs as expressed in the report, we stand as their advocates, to help them understand the process, to give them the respect they deserve, and to recognize their service to our country. If you are facing the VA appeals process, don’t go through it alone. 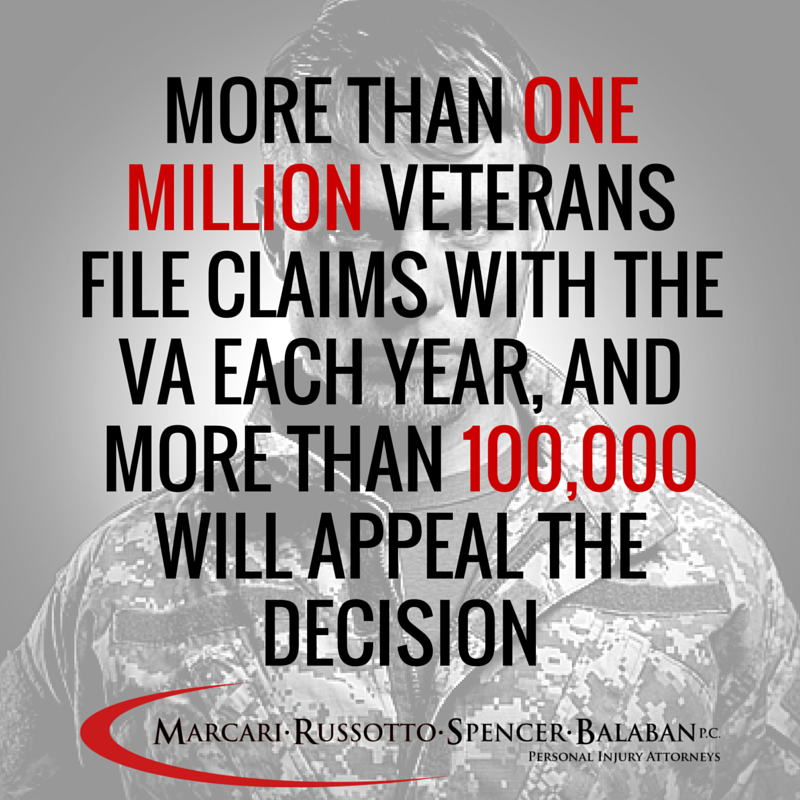 Call Marcari, Russotto, Spencer & Balaban, from anywhere in the nation at 866-866-VETS or contact our office online.